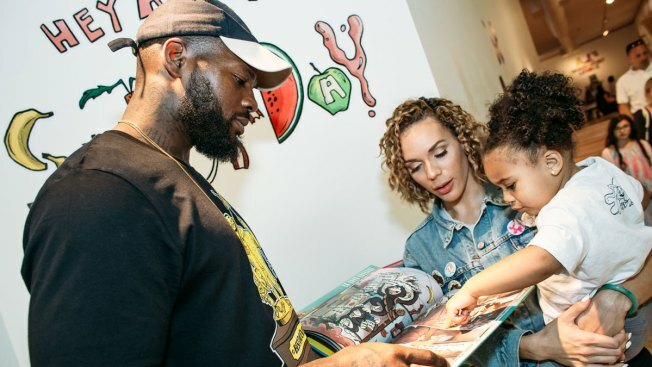 BOSTON, MA - JUNE 17: Martellus Bennett and wife Sigourney Bennett read to daughter Austin Jett Rose Bennett during the Hey AJ Imagination Lounge Pop Up on June 17, 2016 in Boston, Massachusetts. When former NFL player Martellus Bennett was growing up he didn't dream of playing professional football. He dreamt of becoming a pirate. From a young age Bennett loved to dress up in different costumes and outfits that weren't shoulder pads or a helmet. It was his passion for art, writing and music that led him to follow his dreams and start his own children's book company, The Imagination Agency. After announcing his retirement from the NFL last month following an 11-year career that included a Super Bowl victory with the New England Patriots in 2017, Bennett said his decision to walk away wasn't about the sport at all. It was about no longer letting a dream of his be deferred. "Is there ever a right time to follow your dreams?" Bennett said. "At some point, you have to be like I have these dreams of mine that I want to go after. It really wasn't about where I was in the league, it was about pushing that dream off to the side." Bennett's dream is to become one of the greatest storytellers of all time. He's taken another step in that direction with the release of his second children's book, "Hey A.J. It's Bedtime!" The book tells the story of a young girl – inspired by and modeled after his 4-year-old daughter Austyn Jett – who discovers a huge party in her room when she gets ready for bed. Bennett says he created the "Hey A.J." series when he couldn’t find children’s books that represented African-American kids like his daughter going on adventures and having fun. "When my daughter was born I realized that some of the first couple of books that I wrote in the Hey AJ series was based on her," Bennett said. "I'm big on representation because I feel there's not enough sci-fi with kids of color, there's not enough fantasy fiction with kids of color. So I started creating these stories where she could see herself in them and I can also see myself in them too." The self-proclaimed "Creative Director of Awesomeness" used a unique study called the "Batman Effect" to bring his experiences with his daughter to life. "It's basically saying that kids that dress up and play pretend are more likely to be assertive as they get older because they are able to take those roles and those characters and feel more powerful and more adept at life," Bennett said. Throughout his creative process, Bennett stresses the importance of the power of play... that everyone should be able to play or dress up. 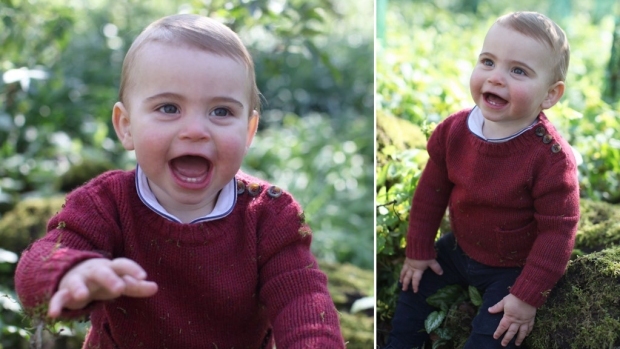 For him, that meant exploring interests outside of the world of football and creating a balance. Bennett said that in the NFL sometimes players struggle with connecting to the real world. "I think that's the biggest thing that players miss out on, the ability to become an entire human. They try to cut you off from the world but you’re still connected to this world.” Bennett said. "That’s why a lot of guys struggle when they go back into the real world after football because they’ve been put in this bubble where all they had to do is think about football and be football and anything else that they’re interested in they can’t do."